Survey Voices Review - Is It a Scam? Survey Voices Review – Is It a Scam? Looking for an honest Survey Voices Review? Well, you're in the right place! Today I'm taking a deeper look into Reward Zone's survey platform to find out if it's a legit way to make money, or if it's just another scam. The clue is in the title. Survey Voices is a platform designed to connect people who want to make money online by taking surveys, with websites that provide surveys. Basically, they're a middle man between you and survey websites. Basically the same as Daily Surveys which I recently did a review on. They claim that you can earn up to $300 per week by taking surveys using their platform. They apparently do this by connecting you to only the most trusted survey providers. And claim that they're the world's leaders in the survey game. I've said this before, and I'll say it again. Taking surveys for money is an absolute waste of time. When someone first tries to make money online, usually one of the first thing they hear about is taking surveys online for money. I've tried all sorts of methods to make money online, and honestly (apart from the scams that just steal your money) taking surveys is probably the worst one I've tried. As I've said already, Survey Voices claim that you'll earn up to. $300 per week by using their platform. I find this very, very hard to believe. From my experience, and most experiences that I've heard about, to make $300 per week by taking surveys is near impossible. Most surveys will pay you maybe 50 cents per one you complete. They usually take 10-20 minutes each to complete. So, you'll be lucky to get $2-3 per hour doing this. And sometimes.. They don't even pay you. The surveys are often scams and never pay you. So, to earn $300 per week, you would have to be working all day and night. The Verdict – Is Survey Voices a Scam? I'm going keep this review short, because there's not much to say about it. But I would say, Survey Voices isn't necessarily a scam, because they do actually do what they say. They do connect you with surveys. However, I absolutely do not recommend Survey Voices. In fact, I don't recommend taking any surveys at all. It is a complete waste of time. Not as much of a waste of time as Neobux, but still a definite waste of time. 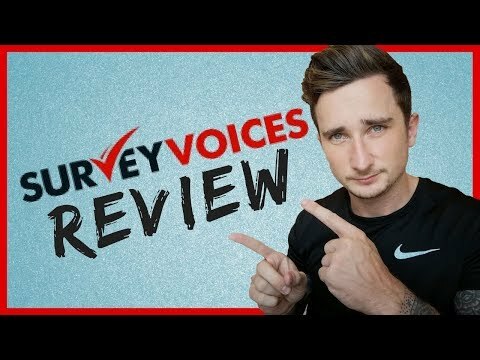 Check out the Survey Voices Review that I did on the Digital Millionaire YouTube channel. Don't forget to subscribe to learn other ways that you can make money online! AZ Formula Review – Another SCAM? ?